Krishna Kumar is an entrepreneur, innovator, visionary and architect with proven expertise in taking a concept to a market-leading industry recognized commercial product. Within a short period, he has commercialized the product, secured beachhead customers and made the company profitable with 300% Quarter over Quarter growth. Prior to App Orchid, Krishna was initially the founder and CEO of Space Time Insight and later CTO, a company with over 44M in VC financing. Under his leadership, Space Time Insight created a market called Situational Intelligence. He has extensive experience in building management teams, acquiring marquee customers and securing multiple multi-million dollar deals. He has also successfully envisioned and implemented product roadmaps. Krishna already has 2 patents on Big data and has filed for 7 more in the field of Cognitive Computing and ‘Internet of Things’. Prior to that he was the Vice President of Ness, a Nasdaq listed company spearheading their SAP practice. 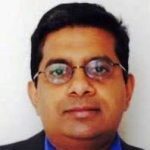 Krishna has over 15 years of experience working in the field of analytics, artificial intelligence, and semantic web specifically in the area of critical infrastructure, infrastructure planning, smart grid and smart cities. He has worked with multiple energy and water based utilities that have used his expertise and technology in several areas including load management, improved asset management, predictive analytics around demand and supply, long term forecasting and energy conservation. As founder and CTO of Space-Time Insight, he pioneered a new field of analytics called Situational intelligence for reliable asset monitoring and predictability around critical infrastructure elements within an organization’ operating area. Using Artificial Intelligence powered IoT to Model the Impact of Weather, Geopolitical and Economic Conditions on Long term Renewable planning.